It’s rare to see a traditional production of an opera in Germany these days, with period costumes and a realistic setting, so it is perhaps ironic that it should be found in a presentation of a work as open to imaginative fantasy as Offenbach’s Tales of Hoffmann (or Hoffmanns Erzählungen, as rendered into German – this performance was sung in the original French). But no Met-like museum culture here – there’s no shortage of freshness or ingenuity in Hinrich Horstkotte’s staging for Theater Mönchengladbach, which premiered in November 2014 and moves to its sister theatre in Krefeld in the 2015–16 season. Horstkotte’s basic single set services for all the scenes of the opera, with quick transformations from Luther’s inn into Spalanzani's eye-popping workshop and with the walls literally slumping to an angle upon arrival of the action in debauched Venice. Setting, then, is firmly in period, though additional 19th-century fiction is also drawn upon with Spalanzani recast as the creator of Frankenstein’s monster as well as his wind-up ‘daughter’. 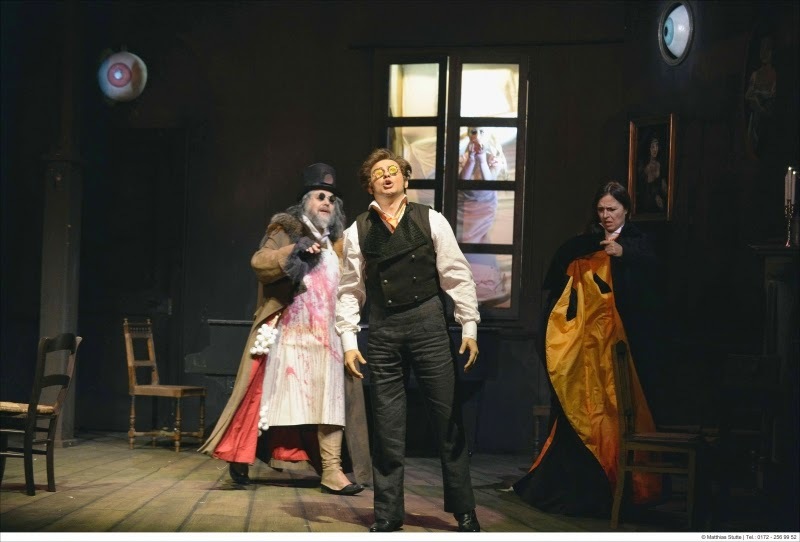 There is an atmosphere of Gothic horror to the whole that presents Offenbach’s fantasy worlds with wit and humour – Dr Miracle’s ‘haunting’ of Antonia through the walls of the room proved particularly effective in this respect. Despite the presence of guest artists, this felt very much a company effort, with ensemble regulars and participants of the theatre’s studio scheme playing major roles, no more successfully than Amelie Müller’s exquisitely sung and acted Olympia. Brazilian guest Max Jota, a Latin tenor to the core, was a charismatic Hoffmann, though his tendency to sing sharp – as much as by a whole tone in some of his ‘Kleinzach’ song – was an unfortunate constant, and seemed as much a consequence of his exuberance as an actor as one of vocal control per se. (This was his last performance in the run and, over-obvious self-congratulation apart, he appeared quite emotional at the curtain calls, at one point kneeling to kiss the stage.) 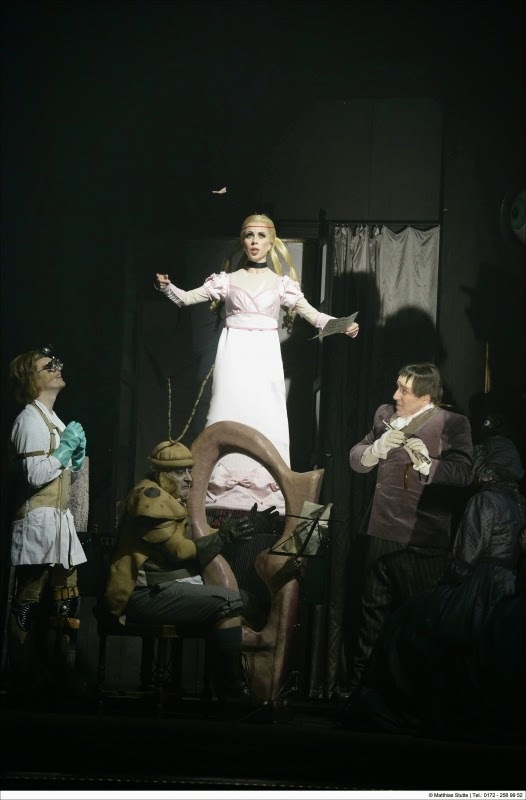 As Hoffmann’s sidekick Nicklausse (and in the framing scenes his Muse), Susanne Seefing began a little uncertainly, but her vocal security firmed up through the evening into a performance of ebullience and quick-wittedness. Izabela Matula’s Antonio was warmly and sympathetically sung with a steady and resonant tone that belied the character’s supposed frailty but was welcome nonetheless. Janet Bartolova’s Giuletta, though, was a bit wobbly for my taste, though she acted the role of the Venetian courtesan with panache, and Johannes Schwärsky’s collection of villains was vividly and menacingly portrayed if a little constricted in tonal variety. 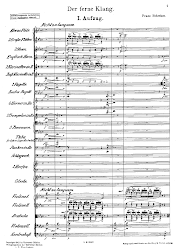 Andreas Fellner conducted Offenbach’s tuneful score with flair and the chorus and cast of smaller roles performed well-honed characters with imagination and enthusiasm – a true company achievement.